First things first: I have Asperger's syndrome, some kind of “light” autism. This makes me be socially awkward and have deep obsessions about some subjects. Moving images were always among these obsessions – and so was history. I'd watch anything on TV, no matter if it was just released or made 80 years ago. Of course, because I was raised by my grandparents, I had the chance to be exposed to older movies and TV shows since an early age. I started to focus on feature-length movies when I was 16, and at 17 I started my blog. That's a tricky question! Well, when I talk about Classic Hollywood, I'm talking about the studio system era, that lasted until, roughly 1969 – and whose starting point is even harder to determine. This is my understanding, that's why I get mad when people refer to movies made 10 or 20 years ago – that is, films younger than me – as classics. Important, groundbreaking, revolutionary: these terms apply to films from any age, and should be used in these cases instead of “classics”. 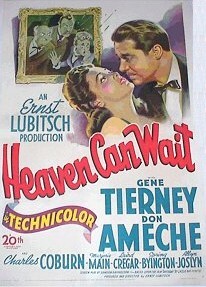 I would recommend some comedies in Technicolor, like “Heaven Can Wait” (1943), or anything that doesn't look “so old” because black and white films may cause a stronger resistance. I'd like to show that some jokes never get old. Also, for kids, any Disney cartoon from the Golden Era – I myself was shocked to learn that the cartoons I watched on VHS were made in the 1930s and 1940s. I wouldn’t recommend musicals or silent films because I, as a stupid teenager, despised these movies. Today they are among my favorites! Why should people care about classic film? The same reason why they should care about history: knowledge about what came before us means power. Power to not make the same mistakes in history, and with films it's powerful to know the great masters, the development of film languages and techniques and, well, simply not be dumb enough to think that “Shrek Ever After” was the first film ever to use the narrative resource of 'what would have happened if our hero hadn't been born?'. I'm not saying that people should rescue the morals and beliefs of the classic film era, just the art in itself – I don't want anyone who behaves as a racist after watching “Birth of a Nation” (1915)... but I wouldn't mind if we got more free-spirited influenced by pre-Codes! I'm always learning something new when I'm blogging. Sometimes it's when I'm writing a review, other times it's when I'm reading some other blogs. And it's this amazing feeling of learning every day that makes me go forward. One time I thought that, if I had a blog, I wouldn't have enough interesting things about my life to share with the readers, but as a classic film blogger I don't have this problem: I know there will always be something else to learn about old movies. What challenges do you face with your blog, and how do you overcome them? Since I love the learning part of blogging, I don't have motivation troubles. Of course, the public seems to be migrating to other social networks, but thankfully lately I've been taking part of several blogathons and, besides helping people find my blog, these events also made me follow schedules. This is my main problem: I always think I can do something later and I usually end up doing things – even things that give me pleasure – right before the deadline is over. With blogathon schedules, at least I'm more organized and can plan my posts better. ENJOY. Today so many people have started blogs to become rich and famous overnight, and so many are actually able to do so. If you are thinking about starting a blog, OK, success may sound fun, but enjoying writing and looking for images and posting and learning with your posts is what will make this activity a real pleasure. Thank you, Letícia! Check out the rest of her blog here. Leticia is a bright and charming young woman whose blog enlightens and entertains. We're lucky to know her. Le is a great blogger. Her passion for classic film is evident in all she writes. I loved her reconstruction post on a Lon Chaney film for the Lon Chaney Sr blogathon, hosted by myself and Ruth, from Silver Screenings.